2019 begins our 19th year of introducing new golfers to the game of golf and help experienced golfers improve their overall games as well. 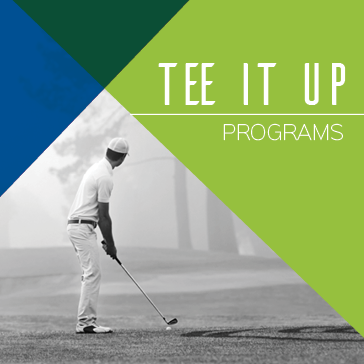 The Tee It Up program offers 5 different levels. Please review the following chart to determine which program is right for you, and click it for more information. Aren't sure? Please call The Learning Center and we will be happy to help you determine the class that best suits your game. Click on a class level below for the specific details of each program and to register online. This program is designed for the new golfer; ideal for someone that has never held a golf club before or brand new to the game. 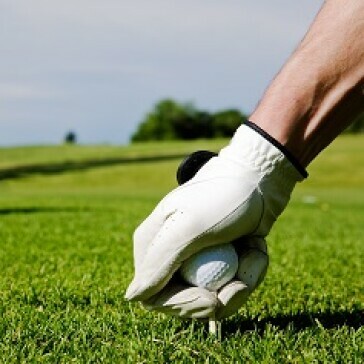 This program is designed for the beginner golfer; ideal for the golfer that knows a little bit about but golf or has never had a lesson or may have played before but needs a refresher on the basic fundamentals. This program is designed for the beginner or intermediate golfer that has completed basic instruction but needs to reinforce the fundamentals and learn how to become more comfortable on the golf course. Half of these classes are held on the golf course. This program is designed for the intermediate or experienced golfer looking to improve their game and lower their scores; previous lessons or experience recommended. This class incorporates the use of video analysis to help the student better identify flaws in their golf swing. This program is designed for the advanced golfer focusing on improving a particular aspect of their game and learning how to manage their game on the golf course; previous experience golf experience required. This class incorporates the use of video analysis to help the student better identify flaws in their golf swing. 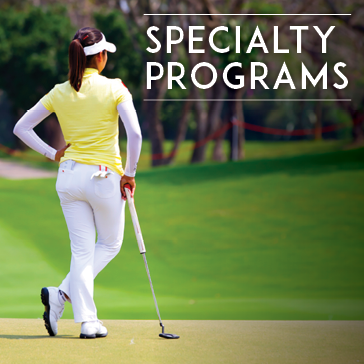 The Learning Center offers a variety of lesson-configurations focused on all phases of the golf game to suit your individual needs. 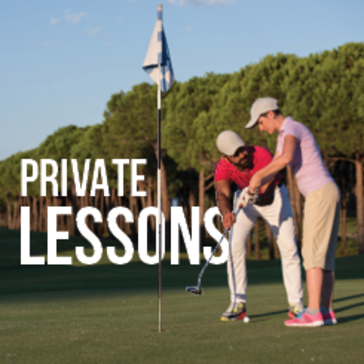 Partner with another player(s) of your choosing for a semi-private lesson, or opt to have an individual private lesson. Lessons are offered seven days a week. Choose between thirty-minute or one-hour sessions. Purchase individual or discounted packages of five. Video analysis and on-course instruction are available on in any session. To learn more about private lessons and view all of our world class instructor's rates, click below. Cancellations received within 24 hours of a lesson will either be charged to the student or applied against their lesson package. Failure to show up for a scheduled lesson without notice of cancellation will result in either the lesson being charged to the student or applied against their lesson package. Special circumstances will be handled at the instructor’s discretion. All lessons must be used by the end of the season they were purchased, unless otherwise discussed with the instructor. Students will learn how to train to increase their club head speed using SuperSpeed Golf. Coming in Spring of 2019! 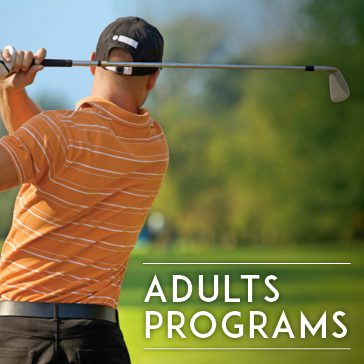 Click here to learn more about enhancing your golf game, as an adult, at Reston National Golf Course. 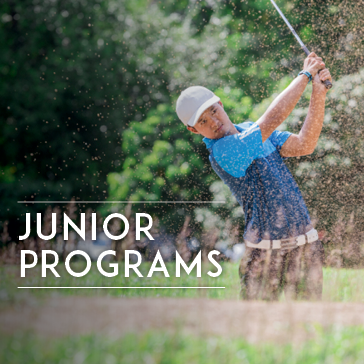 Click here to learn more about enhancing your golf game, as a junior golfer, at Reston National Golf Course. 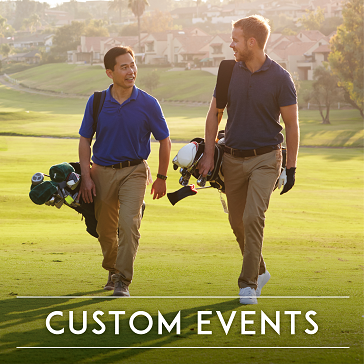 Click here to learn more about how we can combine work, golf and fun for your employees! Come to us or we can come to you. Click here to learn more about enhancing your golf game and having fun by attending one of Reston National's specialty golf days! An instructor will reach out shortly. While you wait, Follow us on Facebook for up to date course information!